JAH BLESS da ENTERTAINER exclusive LIVE INTERVIEW on ZTV's YGT today Monday 13 June 2016 btween 2:30 & 4:30pm. 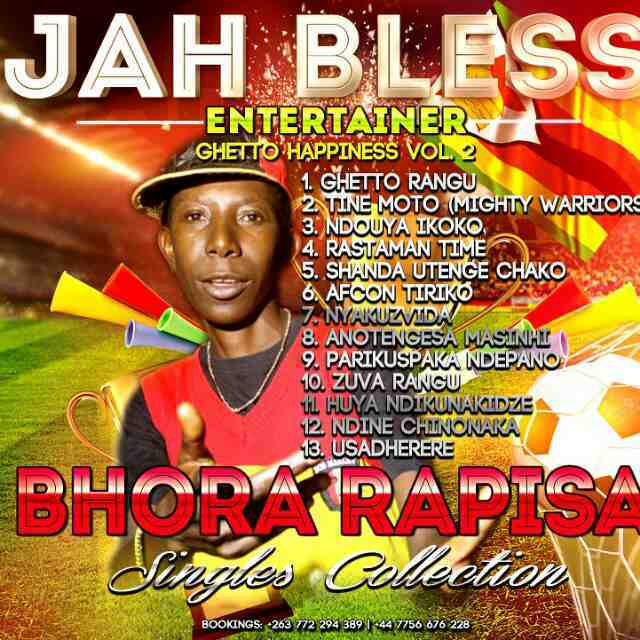 Introducing GHETTO HAPPINESS VOL 2 Bhora rapisa ⚽⚽⚽ singles collection. AFCON TIRIKO! We set de trend & dem ah go follow. NDAPINDA NDAKADZIYA WINTER TIME, NDIKATI NDINENGE NDICHIPISA ZVANGU SUMMERTIME. WHETHER WINTER TIME KANA SUMMERTIME, ENTERTAINER NDINE YESE ZVANGU FUNTIME! IT IS MY TIME! VAUDZE IRASTAMAN TIME!